A female kickboxer who claimed she could barely walk and claimed £20,000 in benefit has been exposed as a fraud. Valerie Bycraft was reported missing yesterday (19th March) after leaving her home in Spalding. 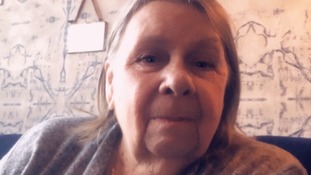 Valerie Bycraft, who has dementia, was last seen at around 6.45pm last night (18 March). Can you help find the children in this photograph? A photographer captured these children outside a shop in Grantham in 1979. Now his family are trying to find them to give them the picture.